Sunday Guided Day Tours – First Sunday of each month! 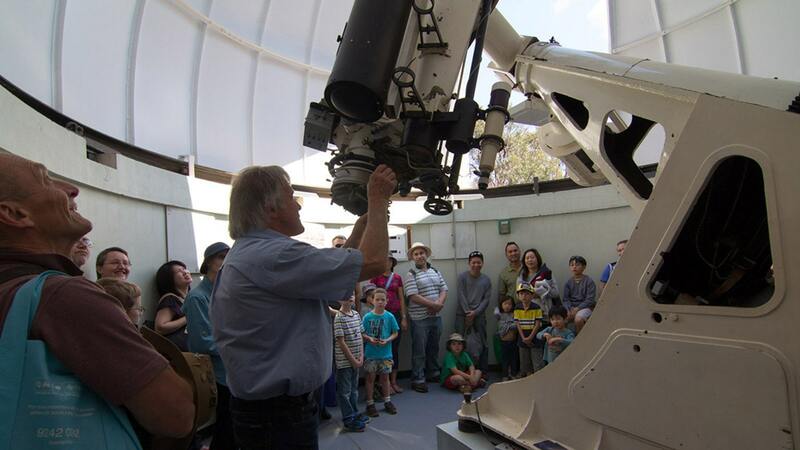 Sundays are perfect to take family and friends sightseeing on a beautiful drive through the Bickley Valley for a special Guided Day Tour of the Perth Observatory. Have you ever wondered what Perth Observatory looks like in the day? Well, now you have the chance to explore and learn about our amazing history on the first Sunday of each month with these special tours. Stepping back in time to see how Astronomers took photos of the stars in the Astrograph Telescope. The chance to climb 15 meters to the top of the Lowell Dome for a breathtaking view of the grounds (it’s ok there are stairs). Learning which telescope is where and what they do – or were famous for! Watching the joeys play and seeing some of WA’s beautiful birdlife whilst ambling the paths through our native setting. You might be the lucky person to see an emu. Visiting the AstroShop for ice cream, drinks, toys, gifts or a special memento of your visit. Sunday Guided Day Tours from 2 to 4 pm on the first Sunday of each month. Prices are just $15 adult, $10 concession, $5 children. There’s no need to book, just pop in and we’ll meet you.